Remember that guest post I told you guys about over here Wow . The one I was writing about the Weave Vs Natural debate. Well it's up on Beauty Pulse London. Check it out here Weave Vs Natural and let me know - Weave versus Natural Hair? What is your opinion? I also came across this absolutely beautiful short film and I wanted to share. The Door, by Ava DuVernay, is the the fifth Miu Miu Women’s Tale, and is a celebration of the transformative power of feminine bonds, and a symbolic story of life change. 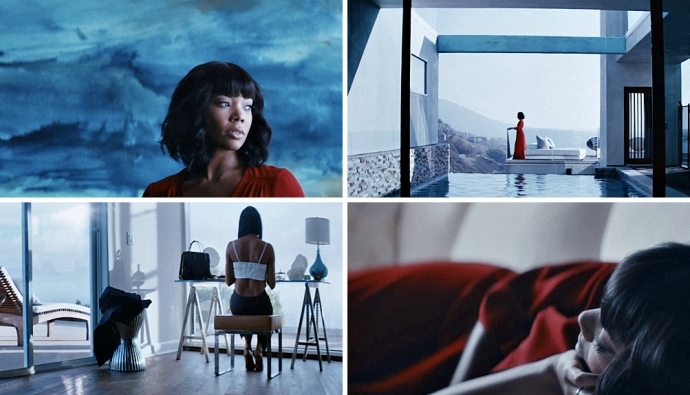 Starring the beautiful Gabrielle Union, Alfre Woodard, Emayatzy Corinealdi, Adepero Oduye and singer-songwriter Goapele. The film shows our heroine Gabrielle Union who initially is shrouded in an oblique sadness. “In the film, characters arrive at the door of a friend in need, bringing something of themselves and eventually, we witness our heroine ready to walk through the door on her own"
I love everything about this short film. As a woman I can completely emphathise with her pain. It highlights the beauty of friendship and sisterhood, and made me so thankful for such women in my life. I think it's visually stunning, completely emotive as there is absolutely no dialogue and as for the clothes, well it's Miu Miu... One word beautiful! that movie looks gooood! i think i'm going to have to watch that this weekend! I read your guest post too - really fab! I wanted to comment there but couldn't :(. i totally agree though - it's a choice and we should celebrate our uniqueness!